We have closed for the season, a necessity in order to ensure that sufficient trees are available in 2019 and beyond. Thank you for your support and a Merry Christmas to all! Crane Hill Tree Farm is a "Choose and Cut" (or we will cut for you) Christmas Tree Farm on Johnson Hill Road in Washington, Massachusetts in the beautiful Berkshires. It is owned and operated by the Spencer family. We planted our first trees in 1989, opened for business in 1997, and now have approximately 4000 trees from first year transplants up through 10 feet or more. The primary species is the traditional New England Christmas tree, the Balsam fir; but a few years ago we did an experimental planting of 250 “Fralsam” seedlings, which are a cross between Fraser and Balsam. . Some of those are now 6 – 8 feet tall. Crane Hill Tree Farm has enjoyed considerable success in its mission to add the joy of a real tree to the Christmas experience of as many families as possible. After a few years in which sales outpaced the ability of the trees to keep up, we have now fully recovered. We have an ample supply of Balsams in the 5 to 8 foot size range. There is also a moderate supply of taller balsams, up to 10 or more feet. In recent years, however, our popularity has increased to the point where we have been forced to close after the first two or, at most, three weekends in order to preserve the supply for future years. PICTURES: Click on any of the following links to view some of our operation. We are about 20 minutes from Lee or Chester/Huntington. From Rte 20 take Rte. 8 North to the village of North Becket. At the Olde Village Market take a right onto High Street. Follow High Street up the hill approximately 1 mile. You are now in Washington. Take a left onto Johnson Hill Road. Crane Hill Tree Farm is on the right (approximately 3/4 mi.). We are only 20 minutes from Pittsfield or Dalton. Take Rte. 8 South through Hinsdale and into Washington. Just past the Washington Town Park take a left onto Lower Valley Road. Lower Valley Rd. will pass under the railroad tracks, then will turn hard to the right, and after a little more than 1 mile will lead to a fork in the road. At that point bear left onto Johnson Hill Rd. Crane Hill Tree Farm is on the left at the crest of the hill (approximately 1/3 mi.). If you find yourself on a dirt road, you have taken a wrong turn. All of our trees are one low price. For 2018 the price will remain at $40 for any tree as it has been for several years. We are open Fridays, Saturdays, and Sundays starting the day after Thanksgiving. Hours are from 9:00 AM to sunset. Although there is no guarantee, we will usually also be open on other days. Call or email in advance if you would like to come on those days. 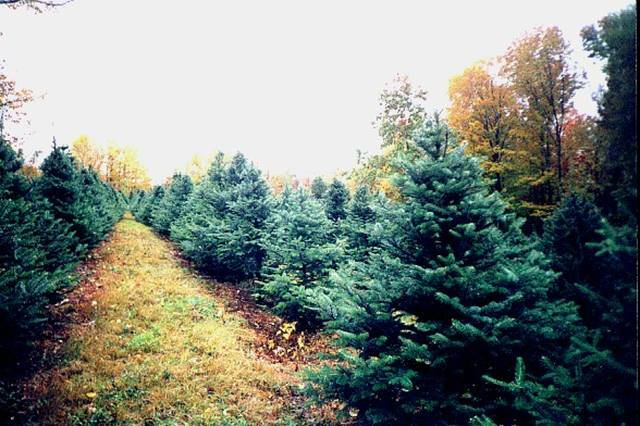 Looking for a little something to eat before or after picking the perfect Christmas tree? Try the newly relocated and reopened Becket General Store at 3235 Main Street (Rte. 8) in Becket. They have great food, great beers on tap, unique atmosphere, and a full liquor license. 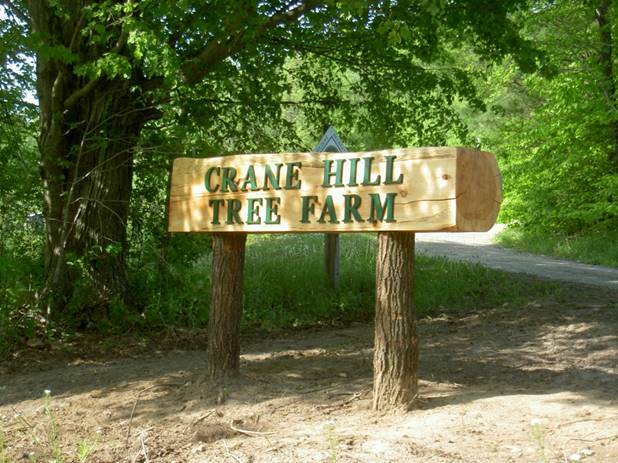 “The General” is less than 2 ½ miles from Crane Hill Tree Farm. Vermont/ New Hampshire Christmas Tree Assoc.